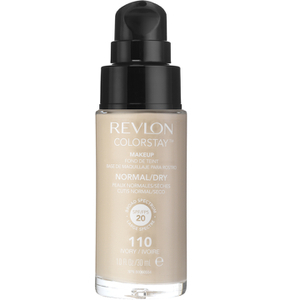 Achieve a flawless complexion with the Revlon Colorstay™ Make-Up Foundation. Catering specifically for oily to combination skin, its lightweight, silky texture blends seamlessly to deliver medium coverage and natural-looking colour with a long-lasting matte finish. 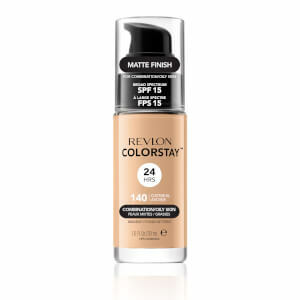 The oil-free liquid foundation controls shine and provides SPF 15 to shield against environmental aggressors, leaving you with a smooth, mattified complexion for up to twenty-four hours. Enjoy 2 for £14 on selected Revlon. Offer for a limited time only. Discount will be applied at basket, whilst stocks last. 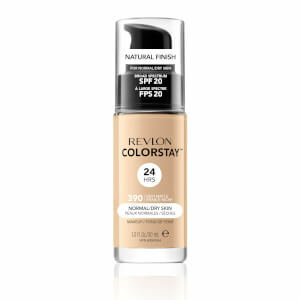 I have used two of Revlon Colorstay Make-up Foundation for both old package and new one. Both of them are really good. It makes you look like natural and stays for a long time. Nice coverage for the skin and is true to the description!